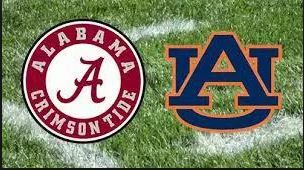 Good time yesterday with my cousin, Bill Parker, as we watched the Iron Bowl and the 30-12 Bama victory over Auburn. Not so much fun for Bill, who is an Auburn grad. But, we’ve been doing this for many years, and I’ve had my share of disappointments. Always a good game, though.